The competent reception facility is responsible for providing food and board for asylum-seekers. Asylum-seekers receive benefits in kind and a monthly amount of money to cover their everyday personal needs. The nature and amount of the benefits are regulated by the Asylum-Seekers’ Benefits Act (Asylbewerberleistungsgesetz). These include basic benefits for food, housing, heating, clothing, healthcare and personal hygiene, as well as household durables and consumables, benefits to cover personal daily requirements, benefits in case of sickness, pregnancy and birth. At this stage, the asylum seekers already have a right to participate in the integration course and to be guided on the access to the Employment through the Employment Agency. There you will find the social welfare office and the foreigner´s office. If an asylum seeker has a good life prospect, he/she is placed in apartments of the district administration Kusel. Asylum seekers receive benefits under the Asylum Seekers’ Benefits Act during this period. granting of monetary and material benefits. In addition, the employees are at your disposal for any questions regarding the provisions on residency regulations in the Federal Republic of Germany. If your application for asylum is granted and you receive a notice of residence from the Foreigner´s Office, you must report directly to the respective jobcenter in the customer office. 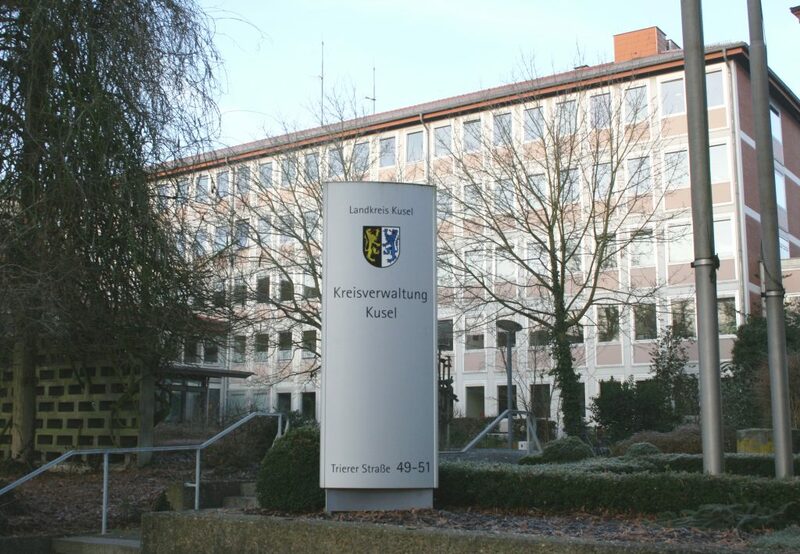 The Jobcenter District of Kusel consists of the main office Kusel and the external offices Waldmohr and Lauterecken. All unemployed persons who are in need of assistance and are between 15 and 65 years of age are eligible for unemployment benefit II. These must be located in the Federal Republic of Germany. Entitled to benefits are also the persons who live together in a household with a person fit for work and in need of assistance and form a shared household ( common housekeeping). immigrants are entitled to benefits if they own a residence permit and have received an approval to take up employment in the Federal Republic (Foreigner´s Office). Finally, unemployment benefit II is also available to foreigners who enjoy a right to stay as tolerated, refugees or politically persecuted persons. ALG II or unemployment benefit II is not suitable for foreigners who are entitled to benefits under the Asylum Seekers’ Benefits Act. According to § 9 code of social law second book (II), the person in need of assistance is the one who cannot adequately defend his life and the livelihood oft he other members of the shared household, and does not receive any necessary help from a third party. Support from family members or other social service providers. The income and assets of the needy and the other members of the shared household must be taken into account when determining the need for assistance. Claims for further social benefits must also be taken into account. If such claims exist, they must be asserted if this can avert the need of assistance and a fundamentally subordinate claim for unemployment benefit II, e.g by Housing allowance. The need of an unemployment benefit ALG II of a receiver is determined by the jobcenter, among other things rent, move costs and heating costs as well as basic equipment. The regulation covers the current and unique needs for food, clothing, personal care, household items, electricity (without heating) and for the needs of everyday life. For a legally defined group of people, in addition to the ALG II standard benefit, there may be a demand for so-called additional demand. Included are e.g. Mothers from the 13th week of pregnancy, the single-parent of minors, part of disabled people and persons who need more expensive nutrition for medical reasons. The integration agreement (EGV) is a public-law agreement between the jobcenter and the unemployment benefit ALG II beneficiary, which is to be concluded for up to six months. The integration agreement shall be effective as soon as it is signed by both “contracting parties”. If the unemployment benefit ALG II recipients violate certain obligations, they must be subject to penalties (punitive measures). These are based on the nature and severity of the breach of duty committed by the beneficiary. This can lead to reductions in the ALG II benefits, but also to a complete cessation of benefits. Persons entitled to benefits have a leave of 21 days (3 weeks per year). Holiday weekends include weekends and public holidays. However, the absence of location must be requested and approved in advance by the Migration Coordinators of Jobcenter district of Kusel. Otherwise, the entire claim is omitted. Unemployment Benefit II Recipients are obliged to report changes in their life or income immediately to the jobcenter. If this does not happen, sanctions can be initiated.